ABS Master smith, Raymond B. Rybar Jr. crafted this Fighter. 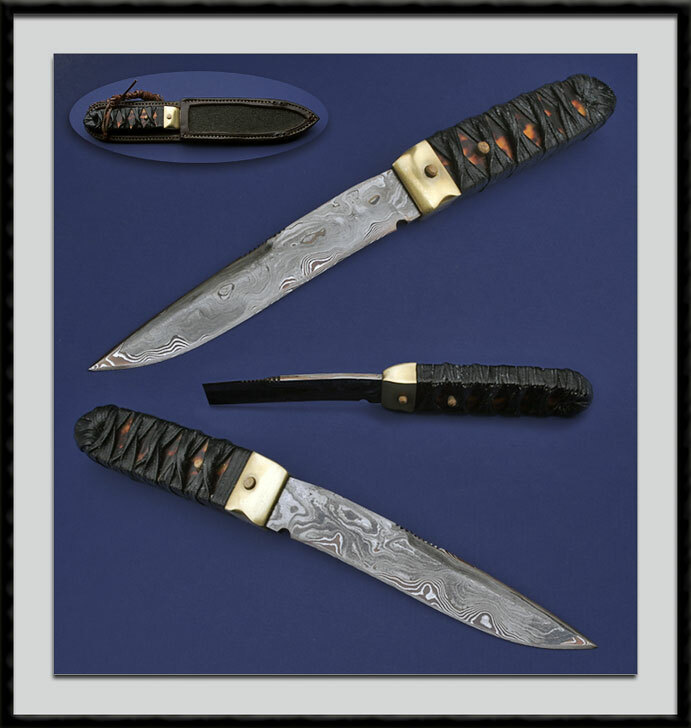 Carbon steel & Nickel Damascus blade, BL = 6", OAL = 10 7/8", Brass guard and a Cord wrapped composite laminated (looks like faux Tortoise shell) wooden handle. Comes with the leather sheath pictured which has a Ray skin insert. Condition is Like New.